The Kenda Nevegal X Pro Wire Bead Tire is a new and improved all-terrain tire, bringing all the performance of their Nevegal Pro in a lighter package. Featuring Kenda's Dual Tread Compound, their original rubber compound is long lasting and fast rolling. Offering the classing control and predictability of the original, but with less rolling resistance, the Wire Bead version features a 60 TPI casing. 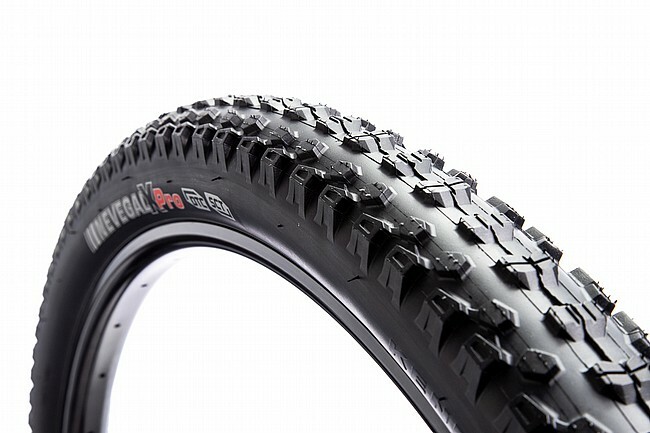 Fast-rolling, lightweight front / rear compatible tire for enduro or downhill use.